Costs – Raleigh, North Carolina has been increasing its tree population since 1996. Find out more about what you’ll pay to keep your trees alive and healthy by reading up on our statistics for trimming, pruning, cutting and removal of trees and stumps costs in the area. FAQs – As the “city of oaks”, Raleigh holds onto its namesake by continually planting and maintaining its tree. Learn more about what thrives in the city, the hardiness of the region and others in the state, diseases currently hitting the trees to watch out for, and more! Services – Time to take the next step and call an arborist in the area to find out more. We have all of the services in the area listed with their information below. How Much Do Tree Services Cost in Raleigh? Raleigh, North Carolina has a non-profit organization that’s been planting trees in the area since 1996 to help residents. It’s important to keep the trees alive in the city by maintaining. Listed below are the costs for maintenance and removal of trees and stumps in the Raleigh area. Sometimes trees die or get infected with disease or pest. In that case sometimes it’s best to remove them rather than try to save them. When calling a tree service professional out to assess the situation, one in the Raleigh area will quote a price between $422 and $602 usually, with an average quote of $512 for tree removal. The exceptional cases where it would cost more include situations with power lines or proximity of the tree to the home where it could hit it on the way down. Stump removal in Raleigh will cost homeowners between $150 and $200. It will take about two hours for the professional to uproot the stump from its position in the ground and haul it away. There is also the option to grind the stump down into wood chips and leave a portion of it in the ground. Discuss this with your tree service professional and see which options works best for the situation and budget. Tree maintenance in the Raleigh area costs residents between $266 and $310 depending on the types of tress and the bushiness of each. 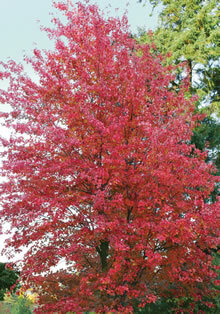 Usually though, the professionals will charge an average price of $288 to prune, cut or trim the trees. Raleigh’s Urban Forestry department encourages residents to plant trees through a program called NeighborWoods. They give residents free trees to plant, as long as they maintain these trees for two years. It’s a great deal that mutually benefits the owner and the community, and it can contribute to a homeowner’s larger landscaping project. Raleigh has no permit requirements for the removal of trees on private property, unless the trees are part of the champion lists or on the conservation list. Check to make sure the tree intending to be cut down isn’t part of either of those or in a conservation area by calling the Urban Forestry department or having the tree service professional check this information ahead of time. October and November will be the best times to schedule a tree removal service in Raleigh, due to the trees going dormant. The official state tree of North Carolina is the pine tree (Pinus palustris). Pine trees are the most commonly grown trees in the state, and they have been used commercially as timber and turpentine for decades. Pear, peach, fig, and apple trees grow well in Raleigh’s environment as well. It’s just important to make sure that they’re trimmed and pruned regularly to allow for growth and protected against frost in the winter. Mimosas (Albizia julibrissin), although beautiful, can be weak trees and hard to maintain during high winds, as their branches can break. The tree of heaven (Ailanthus altissima) and the princess tree (Paulownia tomentosa) are two other species that are not native to Raleigh and should be removed, as they cannot withstand the winds and can be harmful to the home or the yard. Emerald ash borer, a green beetle indigenous to Asia and Russia, was discovered in Raleigh in 2013. It feeds on ash trees underneath their bark, which makes it harder to kill ahead of time. Laurel wilt is another disease caused by a beetle that creates a fungus, which impedes the tree’s ability to grow. It’s important to prune off those parts with the fungus before the whole tree dies. Oak wilt is another fungal disease that can cause oak trees to quickly wilt and die if the infectious parts are not cut off quickly. Progress Energy Carolinas asks that residents do not plant trees near power lines. If residents do plant a tree, it should be one that does not grow higher than 20 feet. 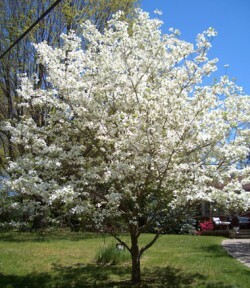 They recommend trees like crape myrtle, flowering crabapple, dogwood, redbud, and saucer magnolia which require minimum trimming or pruning. They also have a pruning request form that residents can fill out, and the company will send a professional over to trim the tree if its branches are near a power line. ABC Lawn and Tree, Inc.